Which Ecommerce Shipping Strategy Is Right For You? Let me say straight out this is a huge topic for a short post. However, there is one small aspect that I want to address here—and yet it’s so big it can affect a seller’s entire business. That is, the lack of clarity about how to charge customers for shipping. This decision, although seemingly small, is of major consequence. So in order to have an effective ecommerce shipping strategy, and, by extension, a successful business, you need to dive in, do the research, and gather the facts and numbers. But be flexible. 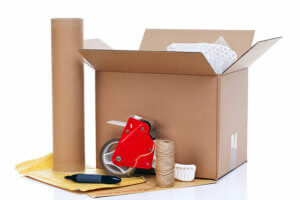 For instance, your method of shipment may vary depending on what is being shipped and where it is being sent. Likewise, you may decide that it’s best to have several contingency plans when it comes to how you handle shipping charges. It’s always good to compare pricing to see who offers the best deals over time. Live rate shipping is not necessarily a great promotional tool. However, it can still be a competitive and dependable way to defer costs to the customer. Charging a flat rate can be an effective ecommerce shipping strategy, especially if your products are small and easy to ship. Let’s face it. In this day and age of Amazon Prime, it’s hard to stay competitive without at least considering offering some kind of free shipping to your customers. In the end, a successful ecommerce shipping strategy is one that satisfies both you and the buyer. Not only that, but it is also plays a major role in converting visitors into paying, repeat customers. https://esaproductmanager.com/wp-content/uploads/2018/08/Post-102-Image1.jpg 417 626 Valerie Edmonston https://esaproductmanager.com/wp-content/uploads/2016/12/new-esa-logo-large-300x79.jpg Valerie Edmonston2018-08-09 14:50:232019-04-05 15:28:15Which Ecommerce Shipping Strategy Is Right For You?